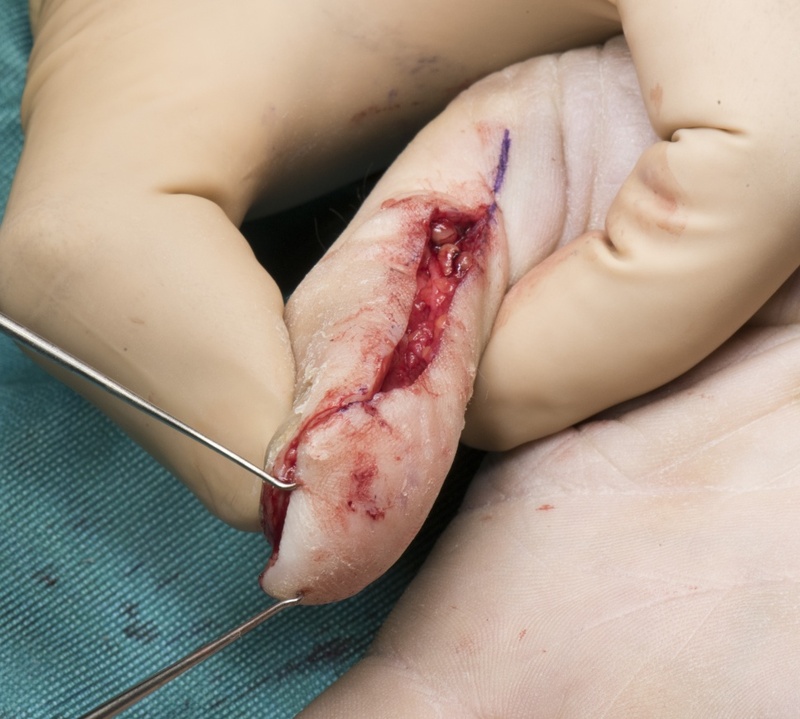 Learn the Moberg’s volar advancement flap for thumb surgical technique with step by step instructions on OrthOracle. Our e-learning platform contains high resolution images and a certified CME of the Moberg’s volar advancement flap for thumb surgical procedure. The human prehensile thumb is a very important digit that allows us to perform dexterous manual tasks with unique grips namely precision pinch, lateral key pinch and tripod. Maintaining the length of the thumb and sensitivity of the skin pad is, therefore, of paramount importance in reconstruction, following traumatic amputation injuries. The volar advancement flap (first described by Moberg in 1964) allows for resurfacing by advancing the palmar skin with the neurovascular bundles contained within it. It provides a reliable and sensate flap with durable skin and subcutaneous tissue. It is an extremely useful and simple technique for restoration and reconstruction of the thumb tip.